As the years pass any house's attic's insulation is bound to get worn out. When the ceiling is getting penetrated on a daily basis by gusts of wind, dust, and rodents, it starts to affect the quality of life at that house. Such a situation usually causes several problems, each being a reason on its own to call for professional attic insulation replacement and installation services. Here are the most common ones. Unfortunately, the first reason that makes us pick up the phone is fear. And when the attic's insulation is not efficient, air, water, and rodents might get through it and into our house. Now, hearing creepy noises from upstairs in the middle of the night, after watching even just one horror movie sometimes in the past, is something none of us would like to experience ever again. That's why first thing in the morning you'd grab your phone and call for SOS insulation replacement services. An unattended attic might allow mold and bacteria to prosper. Now those are types of fungus which are a danger to your health, so when you realize that what's supposed to be excellent storage space has become a health hazard to your family, the first thing most people do is rush to pick up the phone to call for professional solutions. Your House is Always Cold! An unsealed attic means it is that much harder to warm up the house during winter – the air conditioning system is working non-stop, yet the house stays not warm enough while electricity bills are getting too high. And so, the second reason to call for new insulation installation services is when people feel uncomfortable at their own house, as they can't seem to warm it up. And from here, we move on to the next reason. Still related to the air conditioning system working much harder than it should, the third most common reason to call insulation replacement & insulation services is due to high electricity bills, which we all wish to avoid. 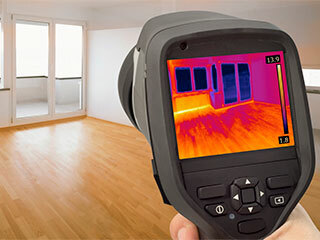 Warming up the house during winter is sometimes expensive enough as it is, so once people realize the source of the problem is as described they will rush to call for professionals to solve the problem for them ASAP! Don't wait to have a reason! The attic's insulation at your home is damaged? That's good enough a reason – call our company to find out more about our professional solutions.